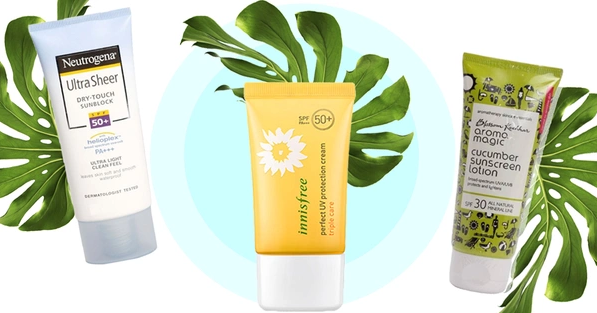 These Non-Sticky Sunscreens Will Protect and LOVE Your Oily Skin! You have to take us very seriously when we say that wearing sunscreen every single time you step out of the house is very important. Yes, we know you’ve already heard that. But honestly, we cannot stress more on this—it is Rule Number 1 for skincare. The harmful ultraviolet rays of the sun can irreparably damage your skin, lead to age spots, sunburn, wrinkles and tanning. In fact, it can even cause skin diseases! This layer of SPF (Sun Protection Factor) can save your skin from all of this and keep it young, glowing and fabulous. Did you know that it only takes twenty minutes for your unprotected skin to start turning red, and even lesser for it to start getting affected by harmful UVB and UVA rays? Dermatologists from the Skin Cancer Foundation suggest that anyone over the age of 6 months should put on sunscreen every day. Even if you work indoors, you get exposed to UV rays for brief periods throughout the day, so skipping on sunscreen is probably not a good idea for your skin! Now, most of you with oily skin will cringe at the thought of adding another layer of product, which is exactly why you should read on! Here’s a list of some of the best sunscreens for oily skin! 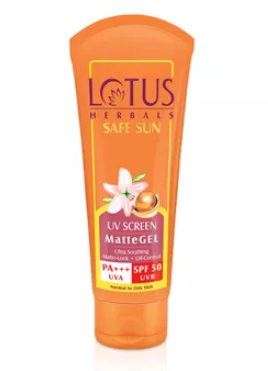 This fast absorbing sunblock leaves your skin soft and has a mattifying effect on the skin. The SPF 50 will protect your skin from UVA and UVB rays of the sun, and so you should apply this after your moisturiser every day. Probably the best sunscreen for oily skin, there’s a reason why this one tops our list! 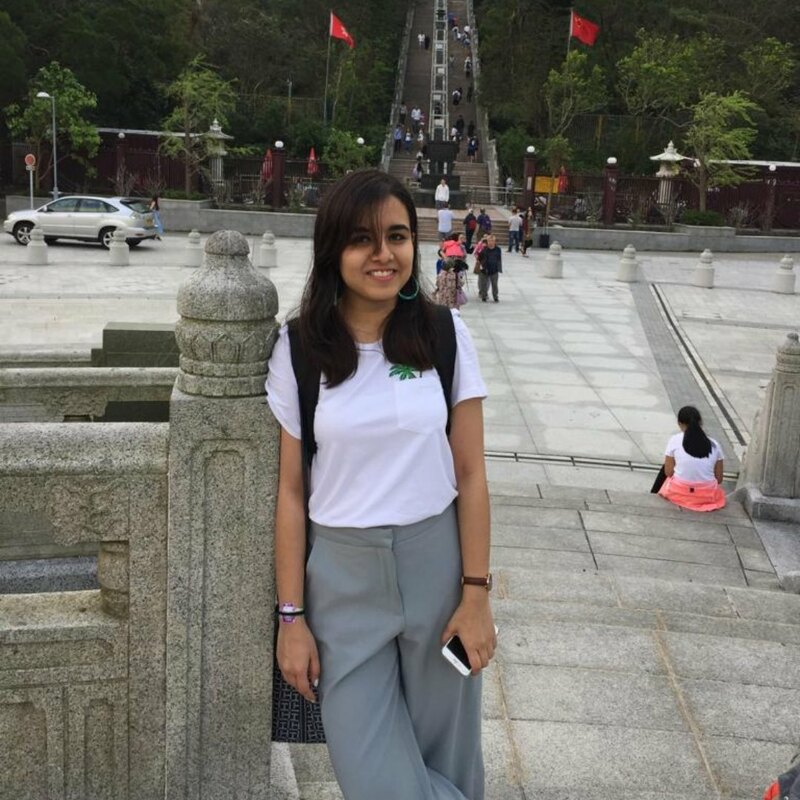 It’s water resistant, non-sticky, and long lasting - just the factors you need to look into when picking the best sunscreen in India for oily skin. The comfrey, horse chestnut, and vanilla extracts make it soothing on the skin. The formula protects you from ageing, sun damage and has a matte effect too. Need we say more? 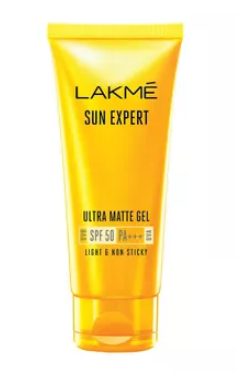 The amazing texture by this Lakme sunscreen for oily skin has got our hearts on it. Perfect to put on when you’ve got an entire day of fun ahead of you, this baby not only prevents tan, but treats oily skin super well! The gel formula makes it super absorbant, all you need to do is to get a little amount of this product on your fingers and then blend it all over your face! 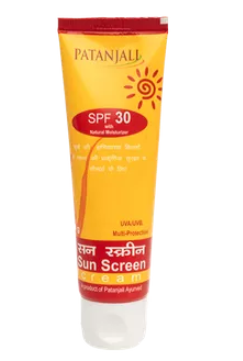 This super amazing Patanjali sunscreen for oily skin is not only great for your skin, but is amazing for your pocket too! Made from all-natural ingredients, this cream formula protects your skin from tanning while also keeping it smooth and supple throughout the day! Need we say more? 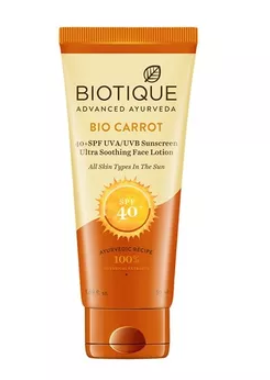 This SPF lotion by Biotique is super rich in nutrients, which makes it the best sunscreen for oily skin! 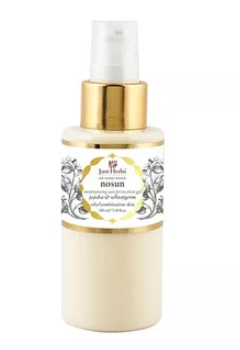 Blended with extracts of lodha bark, carrot seed, aloe vera, and quince seed along with carrot oil, this sunscreen lotion protects the skin from broad spectrum UVA and UVB rays. When there’s so much to offer by one product, can you keep your hands away? 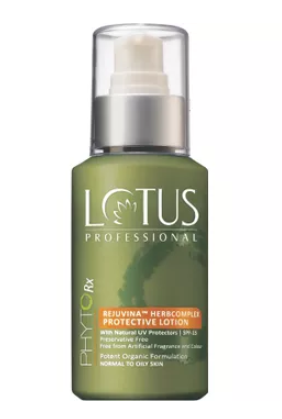 This sunscreen by Lotus is perfect for everyday use since it not only locks in moisture but also provides your skin with a defense system from UV radiation, heat, and other ill effects from the sun. Infused with liquorice extract, grape seed oil, and lemon oil, this sunscreen also heals minor rashes while moisturising the skin! 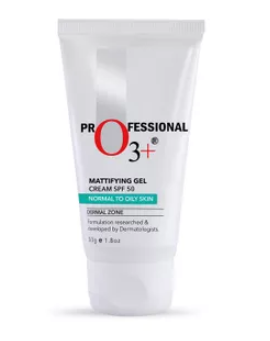 The best sunscreen for oily skin under makeup, you won’t be disappointed with this one! 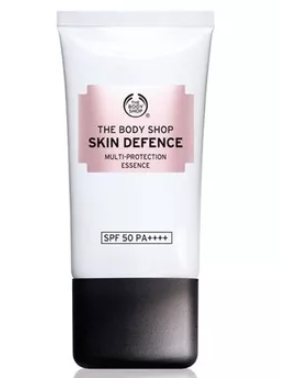 As the name suggests, this product by The Face Shop doesn’t only protect your skin from sun damage, but also controls sebum production. K-Beauty is all the rage these days, and this SPF cream is worth every penny, ladies. 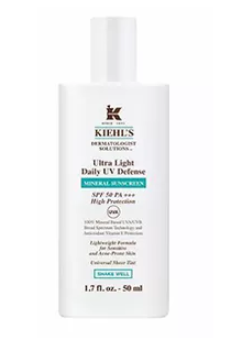 The best sunscreen for oily skin under humid weather, re-apply every 2-3 hours for best results. 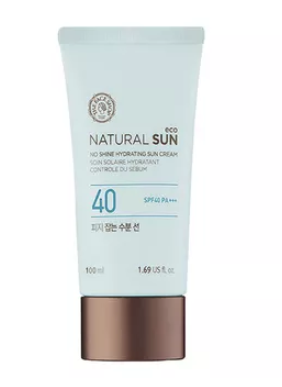 This impressive sunscreen lotion with SPF 50 is infused with Vitamin C and red algae extract that save your skin from external aggressors like pollution and sun damage. The best sunscreen for oily skin, use this daily for healthy and glowing skin always. This one improves sebum quality to ensure your skin health is at its best. It has a long-term mattifying effect, is colourless and doesn’t make the skin oily. The best sunscreen for oily skin this summer, go for it, we say. With this one in your beauty closet, you can bid goodbye to all your skin woes. 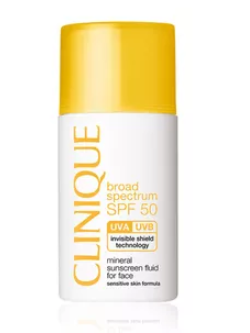 Clinique has a long history of making products most suitable to sensitive skin, and this mineral sunscreen is another great example of their expertise in this area. It’s oil-free and will give your skin all the protection it needs from UVA and UVB rays of the sun. 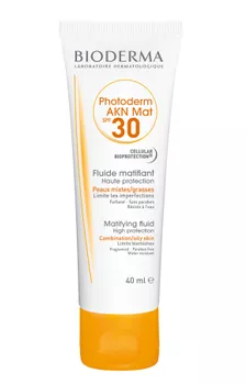 A non-comedogenic sunscreen for oily skin, this one is an absolute must-have! 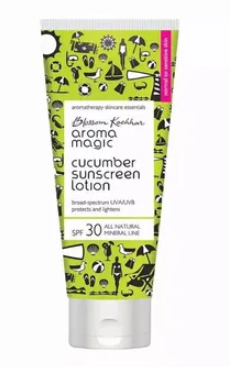 This light, gel-based formula makes this sunscreen the perfect pick for those with oily skin. It has a matte effect on the skin, and should be applied 20 minutes before stepping out of the house. As mentioned, gel-based sunscreens work best for those with oily skin. The gel controls your oil glands and has a great, non-greasy finish on the skin. Add some cucumber extract to it and the cooling effect will make your skin feel soft, smooth and nourished. Give this one a shot! When the sunscreen you’re wearing has SPF 50, you know your skin is safe. 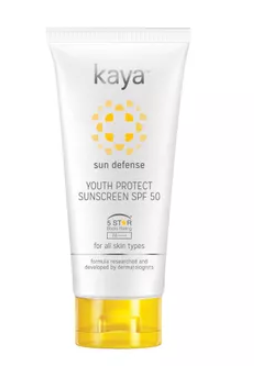 This one by Kaya will take care of your skin, protecting it from sun damage and premature ageing, too. Its lightweight, non-greasy formula make it suitable for all skin types. Besides, applying it every day won’t be a hassle, given its appealing texture. The best sunscreen for oily skin, this one won’t fail you! Vitamin E is a great nourishment doze to give to your skin. So, it’s only natural that this sunscreen makes it to our list. It not only protects the skin from sun damage, ageing and blemishes, but also gives you a healthy and brighter complexion. An oil control lotion with SPF 15 in it - now isn’t this what you’ve been looking for? Add this to your beauty regime to ensure healthy and glowing skin always! It combats shine, rebalances oil production, and adds the right amount of moisture to your skin. 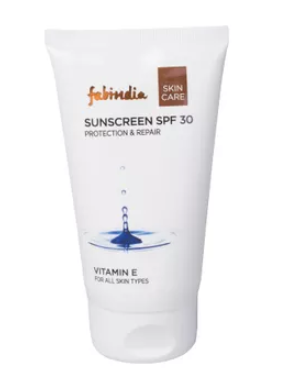 The best sunscreen for oily skin for summer in India, order it already, please? The minerals in this Kiehl’s product have a high reflective index that protect the skin from UV rays. Not only that, the Vitamin E in it shields the skin from damage from free radicals. Be it sun damage, wrinkling, sagging or sun spots - this magical product takes on all your skin issues. Add this in your skincare regime without giving it a second thought! 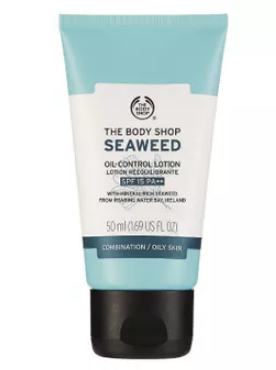 A sun protection gel that’s made from natural ingredients - this one protects your skin from the blazing sun, and the jojoba and wheat germ extract in it keep the skin moisturised and healthy. Probably the best sunscreen for oily skin, so grab this baby already! Some Sunscreen Tips For Maximum Protection! Now that you’ve gone through our top picks of sunscreen lotions for oily skin, here are some basics you need to know to ensure that you get the best out of your SPF! Many of you complain about having to re-apply sunscreen after every couple of hours. Well, to avoid having to lather on sunscreen after every couple of hours, we suggest you to get it right in the first go! As a general rule, use a teaspoon worth of sunscreen on your face and about four for your body! 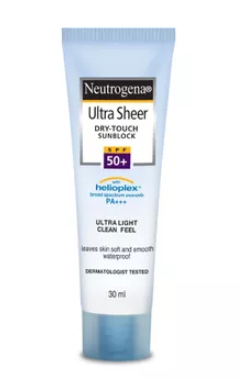 Unless you put on a generous layer, you’re only going to get an SPF 10 worth of protection from your SPF 30. Instead of directly applying a giant blob of sunscreen on your face, we suggest you dot your face with small bits of cream and then massage it on your face. Not only will this help you in getting the most out of your product, but this will also ensure that every bit of your face is covered well! Contrary to popular opinion, you do need a moisturiser after you’re done applying your sunscreen. If not moisturised, oily skin will tend to produce more oil than usual since the sebaceous glands would try to make up for the lack in moisture. However, do make sure that you use a light moisturiser to prevent your face from becoming unnecessarily sticky. Whether or not you’re gonna spend long hours under the sun, make it a point to apply sunscreen daily. While the majority of your sun exposure is incidental and casual, it is enough to wreak damage on that supple skin you take so many pains to maintain. So never step out of the house without this extra layer of protection!